Coworking space is the trend in today’s business where companies share workspaces with one another. These coworking places offer not only affordable and decent office spaces employees who are looking to escape the isolation of home office or coffee place but they also offer an array of amenities to mirror a regular office such as hot-desks, private meeting rooms, kitchens, coffee and even more. Interestingly, these coworking spaces also create a community from diverse kinds of businesses, providing a great opportunity for networking and communication. According to global research by Deskmag and Deskwanted, since working in a coworking space, 74% of coworkers are more productive with 86% have a larger business network and 93% have a bigger social network. At the beginning of this trend, the coworking spaces are frequented mostly by startups because coworking spaces offer manageable cost for having a proper place of business. A startup can take as small as one space or expand to a few more as necessary. Nevertheless, the trend has also caught the attention of larger organizations that want to manage their flexible employees worldwide, hence many larger companies are also taking advantage of this new trend of fresh and hipster-ish coworking spaces. Bloomberg reports that General Electric, KPMG and Merck have started using these spaces to manage their workers. However, while the coworking space offers a conducive and a cool place to work, businesses are still having their main concerns on a few aspects and one of it is EMPLOYEE ATTENDANCE. Keeping up with the workforce management, more businesses have started to make flexible hour an option to their employees in order to meet the work life balance expectations of the modern workers. Therefore, in finding a balance between having everyone under a single roof, companies need to have a system to strengthen the trust between the company and the employees. TimeTec TA is the perfect solution for companies having flexible and mobile employees working from remote locations such as from coworking spaces. The system has a few clocking options that do not require any expensive hardware in order to use it. Employees just need to install TimeTec TA App into their smartphones, login and use. The control of the settings is still under the care of the company administration. Two great clocking options offered by TimeTec TA are GPS clocking and Wifi clocking. With the GPS clocking feature, a company has an option to set a geofence to let the employee clock in within a certain radius from the house or the coworking space. On the other hand Wifi clocking is available when the employee is within the workspace wifi range. On top, TimeTec TA can manage scheduling and reports in the same system. Not only that, with the adoption of TimeTec TA, the company can subscribe TimeTec Leave for better and convenient leave management. 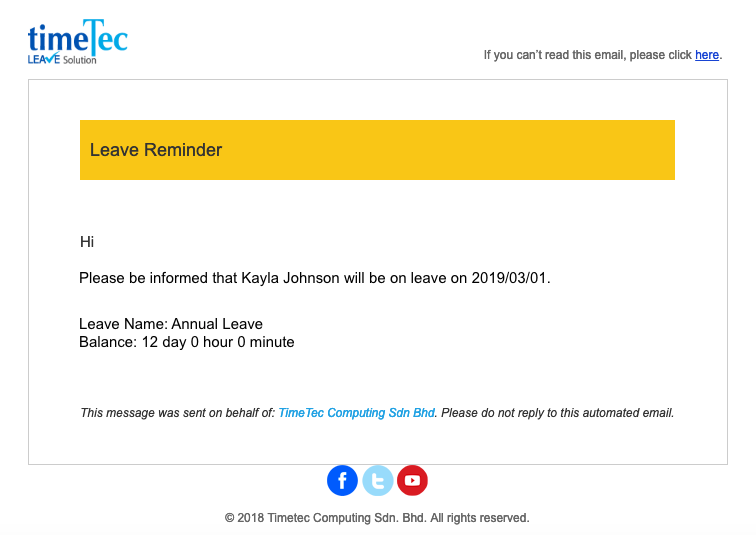 Either a company wants to be strict or relaxed about time attendance, TimeTec TA offers a good and affordable tool for companies to monitor their scattered flexible employees, whether in a country or worldwide. 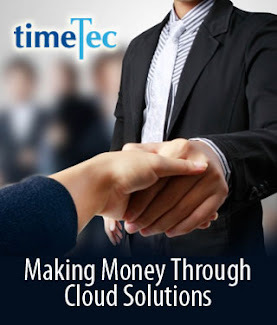 Contact us at info@timeteccloud.com for a good deal for coworking spaces companies. Putting a system in place is no longer an option for today’s businesses. It’s not whether a system is needed for operation or not, it’s more of what kind of system suitable for the operation. The fact is, not all systems are created equal and to choose a system that suits one’s organization, you need to know your current and future (3-5 years) requirements from that solution. Avoid losing money, time, and valuable resource. Choose a system that can satisfy your company requirements and more. TimeTec reveals the top 6 sought-after attributes consumers are looking for in a Time Attendance solution. Changing from pen and logbook attendance to a punch card system is a change in system, and from a punch card system to a smart card system also is a change in system. However, a key to a good attendance system is automation, in other words eliminating the needs for resources/labor from doing various tasks involved in a process. Hence, the system must not only reduces the resources’ work hours, but it also must be able to reduce possibility of human errors in the work process. In time attendance system there are 3 major processes that require automation: 1) data collection 2) data processing, and 3) data analysis. Data collection automation can be tackled by biometrics attendance device like FingerTec TA100C and attendance mobile application like TimeTec TA. The attendance recorded within those devices will then be processed based on the settings configured in the system to produce the results that are ready for analysis. The whole automation process in time attendance is crucial when choosing time attendance solution because the system needs to run effortlessly and be able to produce the outcome that businesses want. According to the late Steve Jobs, “Simple can be harder than complex: You have to work hard to get your thinking clean to make it simple. But it's worth it in the end because once you get there, you can move mountains.” When a complex system can be accessed and used by a wide range of users without intensive training, the system has achieved user-friendliness. User-friendly interface is second to none in choosing an attendance because in any organizations, there are hierarchy of employees with different kind of backgrounds. Hence, not all staffs can comprehend a new system, all at the same pace. Therefore, a good time attendance system has to be easy enough for all staff to use effortlessly. Companies are looking to change a system when their existing system does not fulfill the requirements of its business and operation anymore. Therefore, the new system must possess features that can make process automation becomes more effective. For example, the quantity of attendance column available must be sufficient and match the requirements of a company’s operation. Scheduling feature has to be flexible to cater to the different kinds of roles and work hours of workers. On top of that, businesses are looking for a time attendance system that have other useful features including claim system, leave management and etc, to further enrich the entire process. In an attendance system, data is important and it needs to be available to the relevant parties at all times. Windows-based software has data access restrictions in terms of location and Web-based can be accessed up to a local network only. 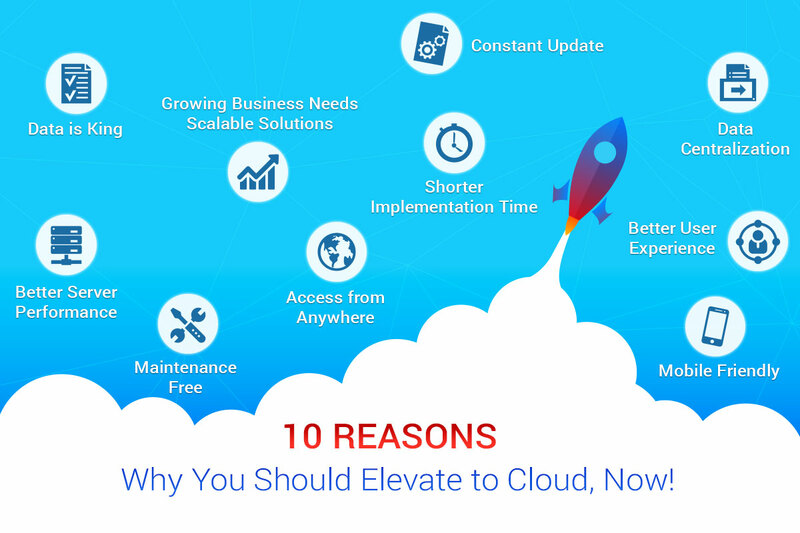 Cloud-based software like TimeTec TA on the other hand provides data access to users from anywhere at anytime, very efficient in this dynamic era where mobility is key. On top, cloud solution also keeps all data intact for a few years without having to worry about the server size or data safety. When a time attendance system can be integrated to a payroll system of choice, it’s a contender. Why is this feature important? Because time attendance data is more often than not will be directly linked to a payroll system and if the system can automate the data transfer, half of the work is done. Again, one of the main purposes to changing a system is automation and if attendance data can be easily linked to payroll for any payroll period, it’s a win-win for users. Bottomline is, the solution must be of value to the company. Every company wants to maximize the value of investment and by having all your requirements met, a good time attendance solution will save your company more than just money. 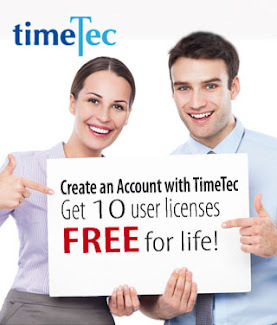 Get a free trial of TimeTec TA and discover its awesome advantages! Employee Leave Management is an important aspect in the Human Resource Department particularly businesses that require labor intensive industries such as manufacturing, retail, and services. For the management of employee leave, not only that Human Resources has to ensure the leave allowance details to be accurate at all times without compromising on the employees’ leave eligibility and compliance; they also need to keep on adjusting the overall leave balance to match with all the ongoing leave applications, approvals, rejections and etc, that have been submitted by the employees all year long. Nevertheless, no matter how complex the management of leave can be, those features are still the basics of any Employee Leave Management. Regardless of whether your Human Resource Department is still practising paper form application method or they have moved on to a more modern tool to manage employee leave, those features mentioned above need to be readily available and have to produce the correct outcome at all times. However, on top of the basic features, Human Resources also needs to know that there are features you never thought available or useful until the time you need them. TimeTec Leave is a cloud-based employee leave management system designed to incorporate all features that a leave system should have as well as make them available on Mobile App and Web Application for added convenience. Cloud-based system definitely is a better choice when it comes to data collection, data centralization, data security and data management. In addition to providing crucial features, TimeTec Leave also presents 5 added features that might come handy to various organization and their Human Resource Department. Let’s explore those features. This is a unique leave management feature whereby a company agrees to replace work hours with a replacement leave day instead of monetary pay. For example, a staff is required to work on a weekend for 8 hours and instead of paying the employee with salary, the staff is eligible to apply for a one day replacement annual leave. However, the application and approval is subject to the company’s leave policy and it has to comply with the labor law of the land. This feature might not be relevant to all industries but for selected industries like training and services, Replacement Leave is a sought-after feature. There are various types and sizes of organizations out there, and some practise transparency while some others prefer to keep certain things private. 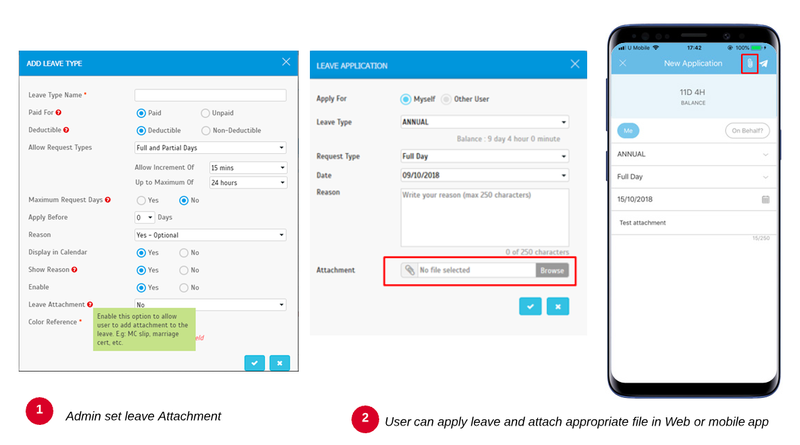 Therefore, in TimeTec Leave, the application offers a feature known as Restricted Leave Display Overview, where a company can choose whether everybody can view everybody’s leave in the Calendar or only the relevant Department is allowed to view their department’s leave details. For companies who choose to view by department, the information will thus not be available to other departments. In principle, employer cannot prohibit an employee from taking a leave if the employee do not break any rules or company policy. However, a company can restrict leave application during peak season or crunch period to maintain optimum operation. 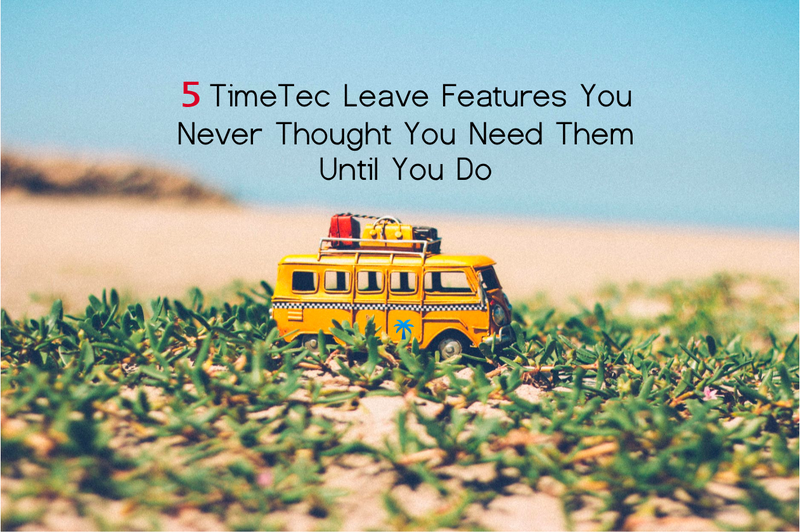 Hence, TimeTec Leave offers another feature known as Leave Restriction, where the company can restrict the number of users that can apply for a certain leave type within a certain period of time. For example, an admin can set a maximum of 10 staff who can apply for an annual leave in January 2019. Therefore, when this feature is set, the 11th applicant will not be permitted to apply for annual leave using the system. You probably thought you’d never going to use this feature? Think again. Who wouldn’t remember the leave that they have taken? You’d be surprise that many would or the fact that superiors approve the leave applications without paying attention to details. The purpose of this feature is to remind employees on their upcoming leave and at the same time it is intended to inform their superior that they are taking the leave to ensure that replacements have been properly placed as not to disturb the operation. This reminder feature can be set to a maximum of 3 times. E.g: 7 days, 3 days and 1 day before the leave date. This feature serves the company and Human Resource Department in two ways. One is to provide instant proof and second is to attach the proof to the correct data at all times. There are certain leave types which require proof such as sick leave = MC slip, compassionate leave = death certificate, marriage leave = married certificate, and etc. By having a feature that can tie all these attachments to the corresponding leave type, it is simply amazing and time saving.